Another day and I'm feeling a little better still! My stack of super simple and easy cards is getting a little thin, I'd intended on stocking up on new designs this week but that didn't happen for obvious reasons! Anyway, here's a simple-ish card. 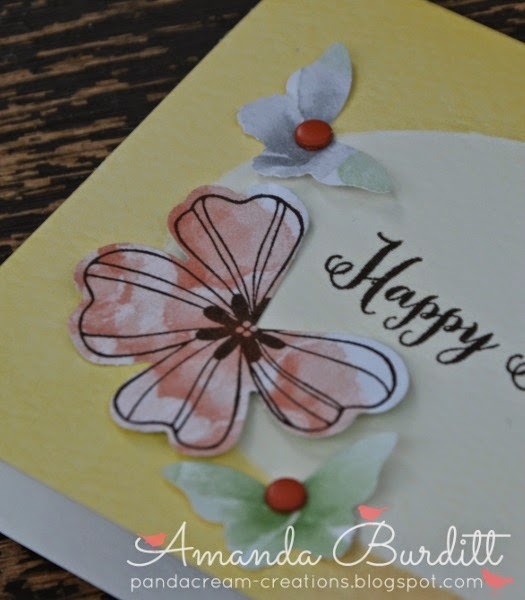 Did you know that you can make the pansy punch into a butterfly by cutting out one petal. Isn't it fun? I'm loving the watercolor notecards and pattern paper - they have such beautiful watercolour looks and patterns but with none of the fuss! 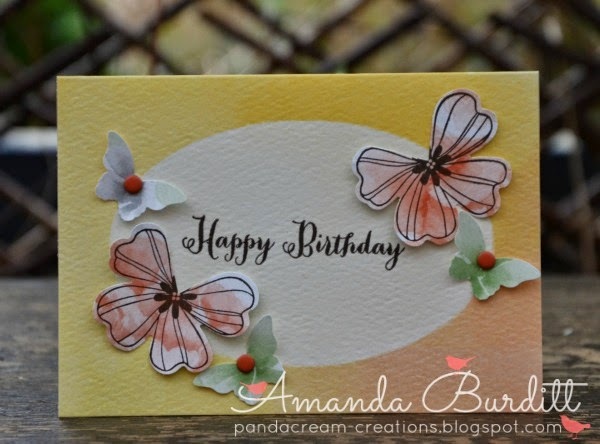 I added a few smaller butterflues and some candy dots to finish off the card. I'm planning to be back to work tomorrow - hoping for a better and healthier week this week!